Since moving to Chillingham, one of my favourite pastimes has become fossicking for interesting rocks carried by our river, the Rous. 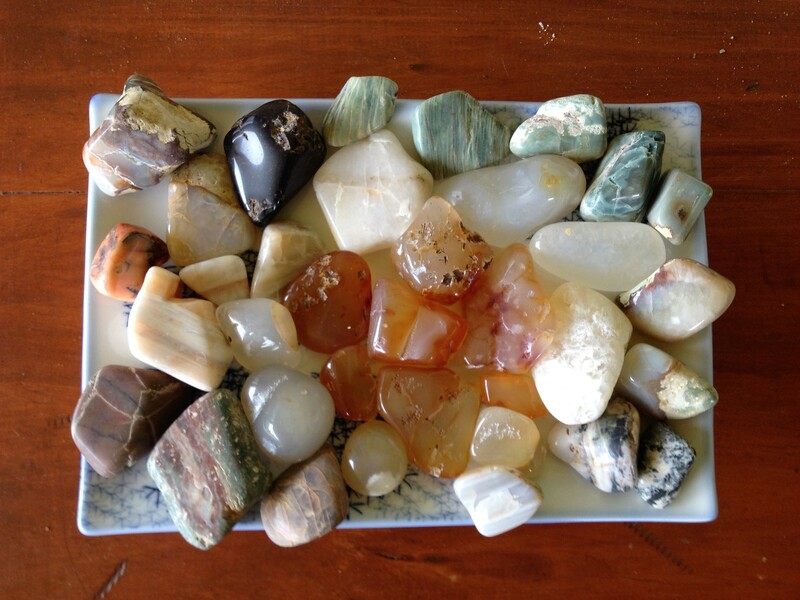 Although a complete novice I’ve collected some pretty rocks. I was delighted to discover Alec Chapman at the Chillingham markets. Alec has been fossicking for rocks since very young and has become quite an expert. 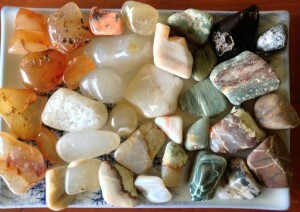 His stall ‘Crystal Cravings’ is a must to visit at the markets. 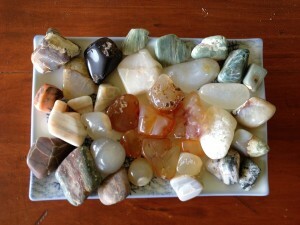 Beautiful crystals and stones – and you will leave much more knowledgeable after a chat with Alec. Alec educated me about the names of some local ‘rocks’. 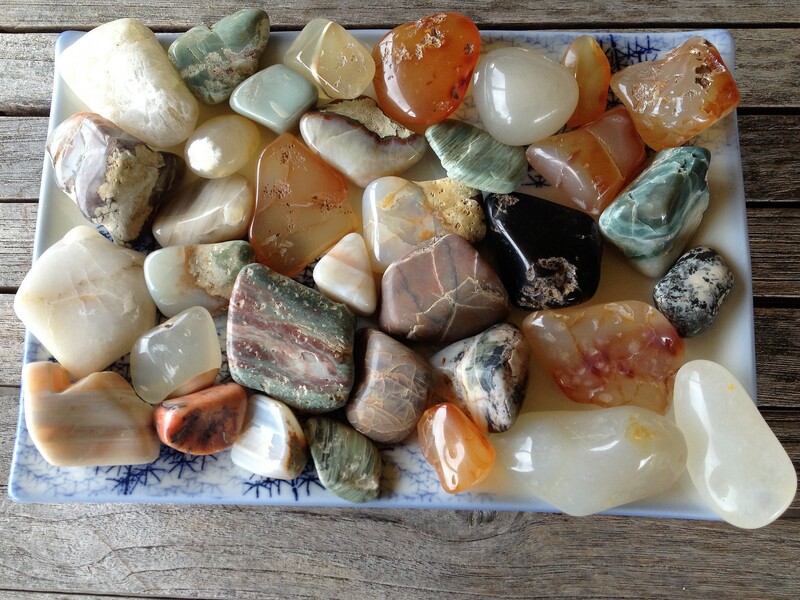 But what to do with all the rocks I collected? 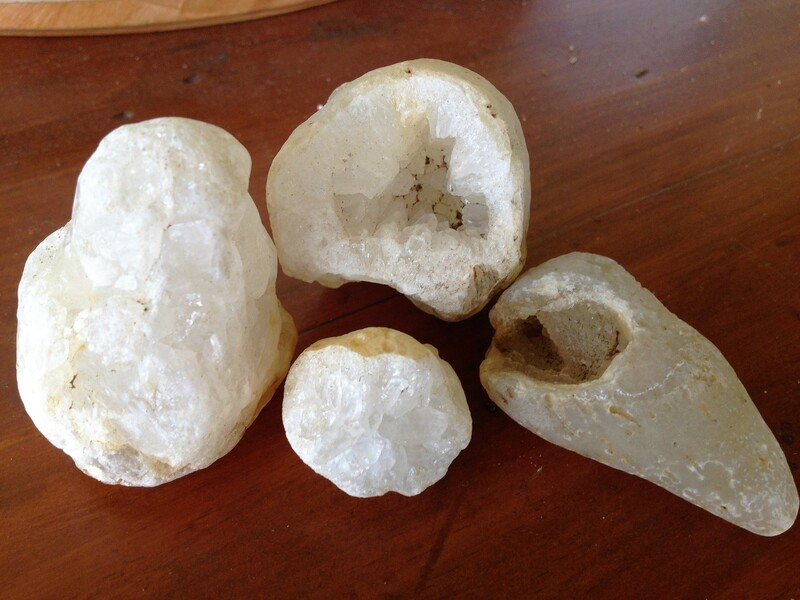 They’d look good polished I thought, though not all of them – some are best kept in their natural state. My husband tuned in and a rock tumbler arrived on my birthday. The picture below is the first result – and there are better stones to come! Examples of carnelian, chalcedony and green jasper all appear. I’ll find out more names for next time. 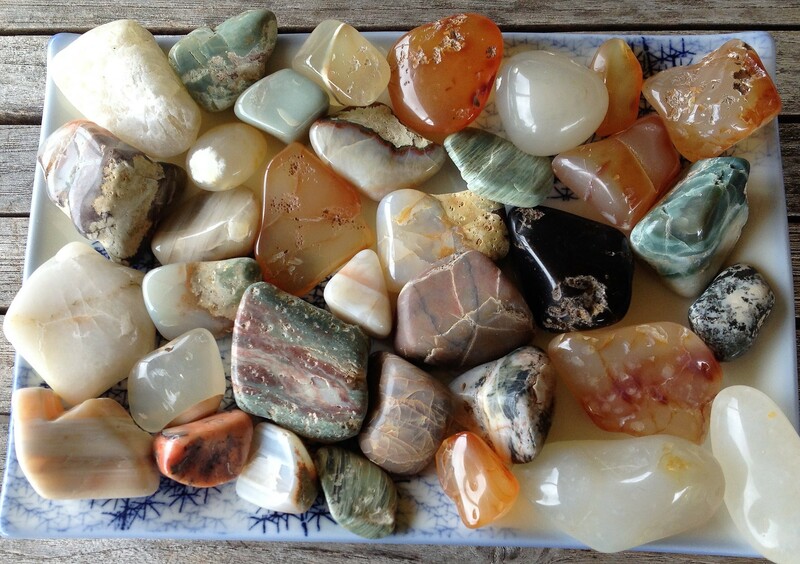 Now a new question – what to do with the polished rocks? Rock art seems the way to go!